The Davis surname is an English and Welsh name which means 'son of David.' Although Davis originated in Europe, it is extremely popular within the United States. In both the 2000 and 2010 U.S. Census, the name was the seventh most popular. The Davis surname originated in Wales before the 12th century, but one of the most well-known instances of the name involved a 13th century Wales man, David ap Gryffydd, who was executed by King Edwards I of England in 1276. By the 12th century, the name had moved into England and Scotland and, four hundred years later, into Ireland. However, most with the Davis name in Ireland came during the 17th century when Britain offered free land for a vow to remain protestant. By the early 17th century, it is also found in North America. Access Genealogy: Besides providing a history of a surname, this site also includes a list of related research links. Cyndi's List: One of the first non-commercial genealogy sites on the Web, Cyndi's List has compiled a list of links associated with the Davis surname. Family Search: A product of the Church of the Latter Day Saints, Family Search has a wealth of information and resources for any surname. The records range from Census to family histories. Genealogy Today: This site has both common and obscure links associated with a surname. Some of the most interesting links include cemetery records and links to various family history books. Many of the links lead to fee-based sites. Heritage Quest: Owned by Ancestry.com, Heritage Quest is often free at public libraries, (although at home, you will have to register and pay for access.) Besides Census records and city directories, which can prove helpful, the site features nearly 30,000 family and local history books. Surname Database: Just like it sounds this is a searchable database of surnames and search results return the name's history, U.S. map showing the popularity of a name, and resource links from the Web. World Vital Records: This site has more than 11 million records associated with the Davis surname. Although most of the records are fee-based three record groups are free: Revolutionary War Pension records, Service Records of Confederate Soldiers and U.S. Naturalization Records. Researching a surname is just the beginning of learning about your heritage. Once you have an understanding of a surname's country of origin, you have a better understanding of where your research should end as you work your way back through your family tree. 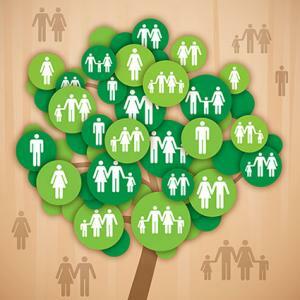 Before you begin your search, download a free family tree chart and browse other genealogy resources.